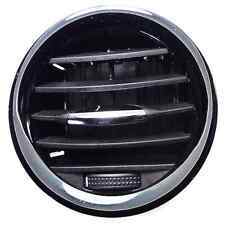 VAUXHALL CORSA D (2007-2014) INTERIOR HEATER OUTER VENT COLOUR: JAPAN BLACK VAUXHALL PART NUMBER: 13417362 (OLD NUMBER 13365421) BUY WITH CONFIDENCE FROM A VAUXHALL MAIN DEALER. THIS PART IS COVERED BY A VAUXHALL 1 YEAR WARRANTY. Vauxhall Insignia - 1.6 petrol. - A - - 2008 to 2017/ Vauxhall insignia 1.6 turbo 2011 to 2013. / 2.0 bi-turbo CDTI diesel. / 2.0 CDTI diesel. / 2.8 turbo petrol. Part Number: 90459185. Manufacturer: Vauxhall. Genuine used part removed with expert care and tested where possible. 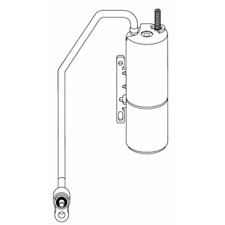 Vauxhall part numbers: GM 93862283 4419021. Manufacturer: Vauxhall. Renault part number: 8200895918. Part Number: 8 200 895 918. Part Number: 90512361. Manufacturer: Vauxhall. Vauxhall Antara - 2.2 CDTI diesel - H26 / J26 - 2010 to 2015. Chevrolet Captiva - 2.2 VCDI diesel - C100 / C140 - 2011 to 2016. Original Chevrolet / Vauxhall part number(s) - 4818691 / 20874703. Manual and automatic vehicles, with air conditioning. Part Number: 9118448. Manufacturer: Vauxhall. Manufacturer: Vauxhall. Cooling, AC & Heating. Part Number: 90573652. Manufacturer: Vauxhall. Genuine used part removed with expert care and tested where possible. Pre Heater. Pre Heater - In good condition. This part was removed from a Right Hand Drive Vehicle. Compatibility is a guide only. Your item will need to be signed for. Other Details. MK1 Facelift 2.2 CDTI 4WD 6Spd. Dash Airvent. Manufacturer: Vauxhall. Genuine used part removed with expert care and tested where possible. Part Number: 90 457 266. Part Numbers: 90463839, 1843107. For Vauxhall Vectra B (1996-1999)Up to Chassis Numbers-X1094774, -X5, -X7040874, -XL, -XP, -XS. Autovaux was established in 2001 and is recognised as The Number 1 Supplier for Genuine Vauxhall spares and O.E Quality parts for all car manufacturers with Vauxhall trained staff and the most up to date parts software available. ID COMPRESSORE : CVC. IMPIANTO : HARRISON. Sul tuo libretto di circolazione troverai i seguenti passaggi per capire l'applicabilità del ricambio. £ 169.60Buy It Now. 01.08 - 04.15. 1.7 CDTI (M75). 01.06 - 12.10. ENGINE CODE. ENGINE SIZE. 12.09 - 10.15. 1.7 CDTI (68).